MSRP: Starting at $54,988 USD. 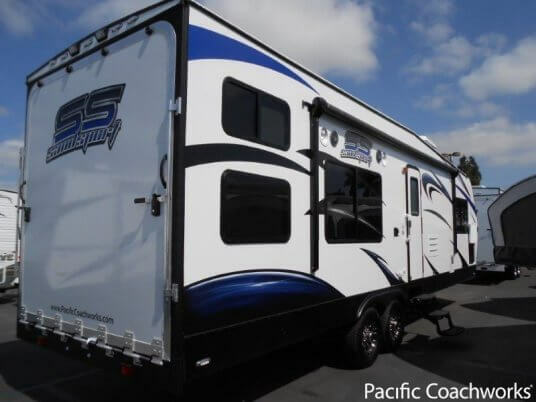 The Pacific Coachworks Sandsport is truly an intelligently designed toy hauler. 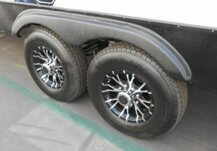 The Sandsport is offered as both a fifth wheel toy hauler and travel trailer toy hauler. The Sandsport 280FS sleeps 8 people and is 34’ long. 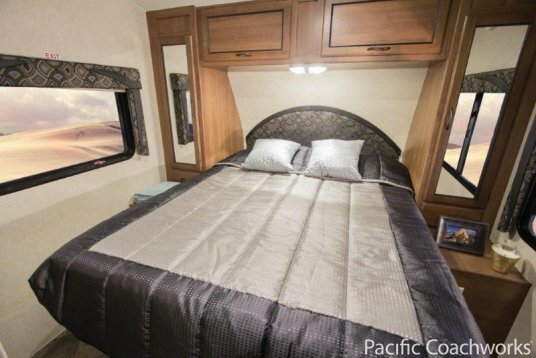 The front bedroom includes a queen size bed with overhead storage. The rear living area has 2 chairs across from a 3 seater sofa. 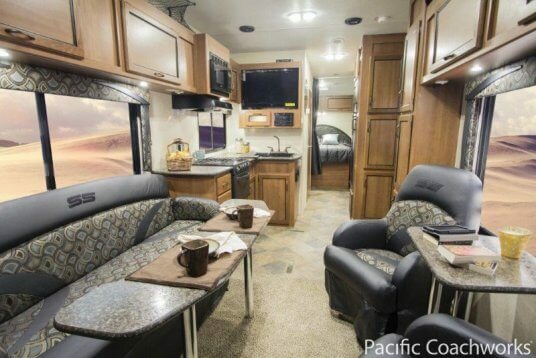 The kitchen has 2 pantries to store all you need for life on the road. The Sandsport F285FS sleeps 7 people and features a large kitchen with a 3 burner range top. 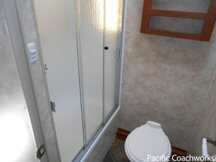 The bathroom is designed with a sink and shower separate from the toilet, enhancing the user experience. 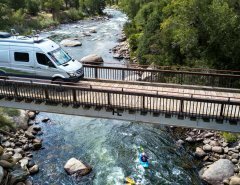 Founded in 2006, Pacific Coachworks is a manufacturer of high quality recreational vehicles based out of Riverside, California. The Sandsport has three different models with 13 unique floorplans, giving potential buyers a wide range of options to fit their lifestyle. 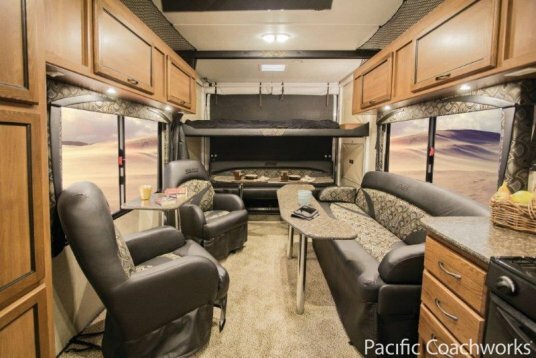 Excellent interior features include rear power beds, a standard carpet kit, a full kitchen with a large kitchen sink and stove, CD/DVD stereo, upgraded window treatments and stylish interior décor. The exterior includes sturdy aluminum framed sidewall construction, long lasting 3M exterior graphics, heavy duty stab jacks, pressure washer, 7-8’ ramp door, to name a few. The exterior length ranges from 20’-37’11” with an exterior width of 102” to hold all of your toys. Up to 16,500 GVWR and up to 170 gallons of fresh water. 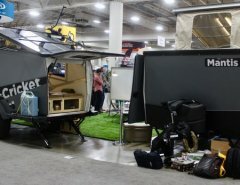 This is the RV for folks who travel in comfort and bring their toys in a beautifully designed trailer. The electric rear bed slides up easily allowing ample space for your toy to travel along with you, in style. 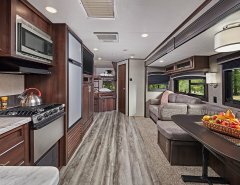 The many options and floorplans will mean you will love your uniquely designed recreational vehicle for many years to come.